I love going to Starbucks and grabbing one of those iced coffee blended concoctions. However, probably my most favorite things there are those refresher drinks. Specifically the Cool Lime and the Very Berry Hibiscus flavors. They are indeed, refreshing. However, like with most of the beverages at Starbucks, they are also expensive. 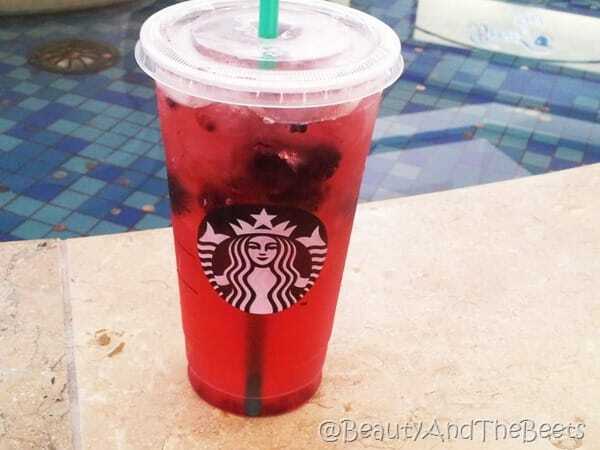 Recently, while in New York, my Mom and I walked over to Starbucks and I ordered the Very Berry Hibiscus Refresher. On the way back to the house we started to brainstorm how I could recreate it at home. It’s better that way anyway. Not only am I saving money, making it at home means I can have this tea anytime I like. 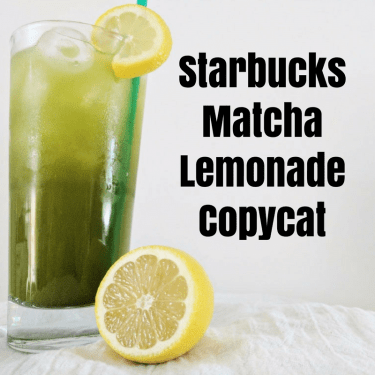 Last year I made a copycat recipe of the Cool Lime Refresher and it has been an enormous hit on the blog. 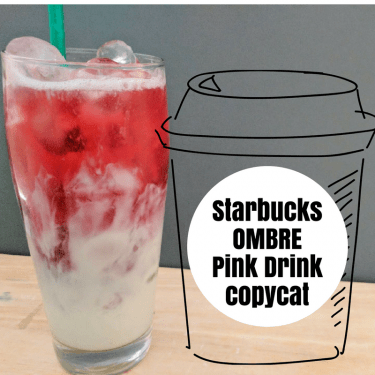 So why not make the Hibiscus version? Now I am back in Florida, the weather is hot and stifling, and I want something refreshing. So I made a gallon or two of this Hibiscus tea and stashed it in the fridge. And I don’t have to venture out into the heat or the summer rain to grab a cup at my local Starbucks. 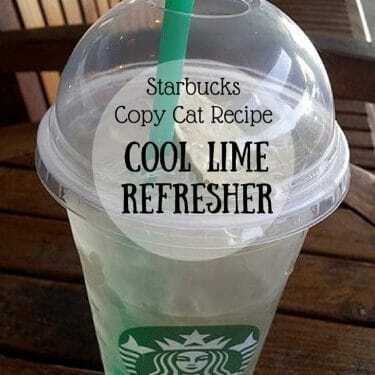 I know all the refreshers are made with white grape juice and green coffee bean extract as a base. For the coffee extract I bought a bottle of green coffee bean extract in capsule form and just popped open the capsules, using the powder inside. I found mine at a health food store but Amazon sells them here and here as well. Hibiscus tea bags are fairly easy to find. I can find them at The Fresh Market and/or Whole Foods or you can get them at Amazon here. I always have some hibiscus and green iced tea in the fridge- definitely one of my favorite beverages. The ginger is very strong and just gets stronger as the tea sits in the fridge. Mixing the tea with cranberry or apple juice would be delicious too, even if only to cut down on some of the ginger flavor. 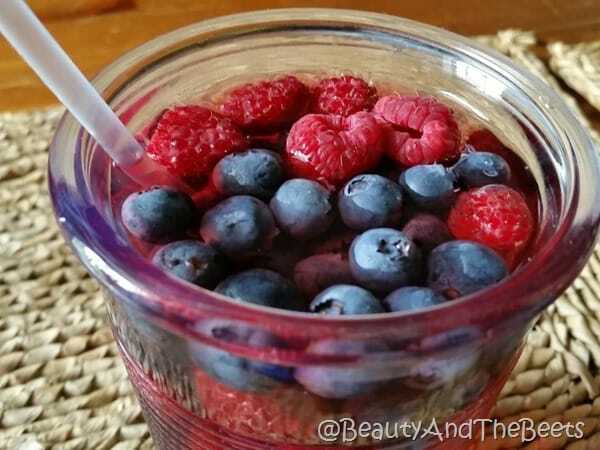 1 cup mixed berries, (optional- for garnish) blueberries, raspberries, blackberries etc. Boil 3 cups water, 3 cups grape juice and the green coffee bean powder (if using) in a pot over medium heat. Remove from heat and add the teabags. Let steep 30 minutes. Bring to a boil 1 cup water and 1 cup of sugar in a medium pot over medium-high heat, stirring to dissolve the sugar. Remove from the heat and add the ginger. Let steep for 30 minutes. 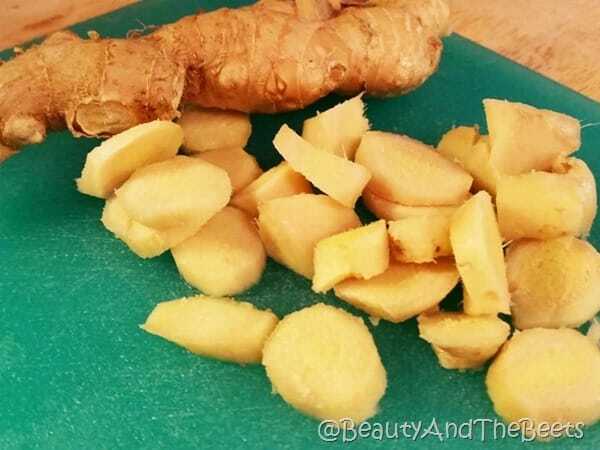 Pour through a fine sieve and discard the chunks of ginger. 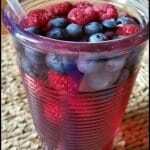 Add mixed berries. Place pitcher in the refrigerator for a minimum 1 hour to allow the flavors to blend and the tea to get chilled. 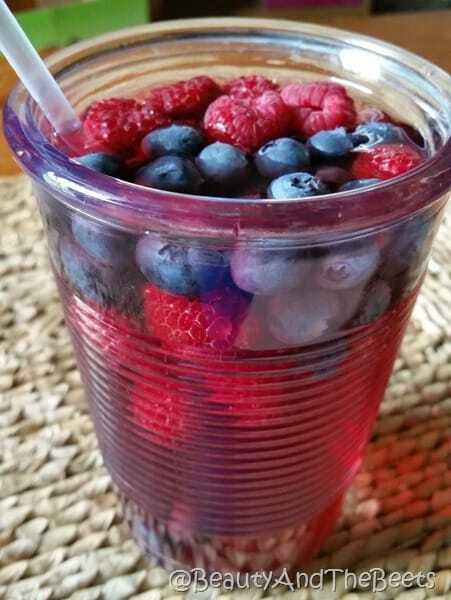 Add a few frozen blueberries and/or raspberries to individual glasses for an extra berry touch. Hi Anna-Marie! 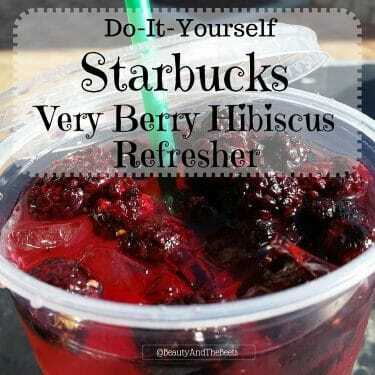 I was given a Starbucks tumbler and box of the Very Berry Hibiscus drink mix as a teacher appreciation gift in May- I LOVED the flavor, and went to go buy more once I used my last packet. Needless to say, I had a heart attack when I saw the price, and have been hoping to track down a recipe ever since. Thanks for coming by my way! It really was meant to be! 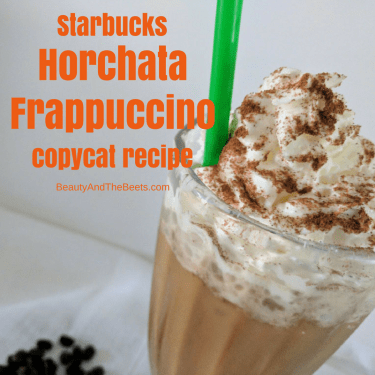 I hope you enjoy the recipe and would love to get any feedback if you have any. Hope you are enjoying your summer and talk to you soon over on your side! That’s awesome! I love recreating food and drinks I love when I’m out at home. Looks like to this tastes amazing! Hi Sarah! Thank you for the question! Most teabags contain about 2 teaspoons of tea- however, most of that tea is ground more finely than loose tea. 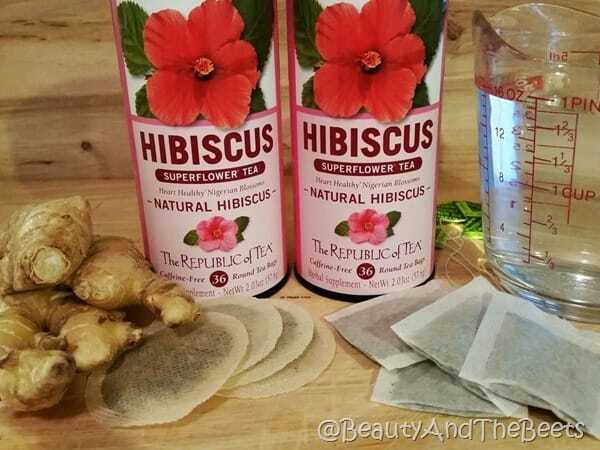 I personally would use 3 teaspoons of loose tea for every tea bag so for this recipe you would want to use 12 teaspoons or 4 tablespoons of each the green and the hibiscus tea. I hope you enjoy it and let me know how the loose tea turns out! Followed your recipe. It turned out really good for being homemade. I feel like starbucks has a secret ingredient or something mine was good but not starbucks good. Thank you for your time and recipe. Hey Vito! 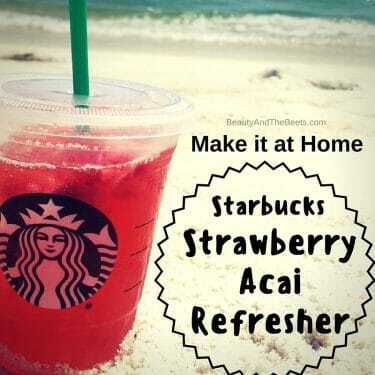 I have heard that Starbucks uses white grape juice as a base for all of their refreshers. I didn’t add any into my recipe because it just seemed like it would be so much sugar. Maybe sub a few cups of water for white grape juice and see how that goes? So you would replace cups of water with white grape juice and boil the juice with the water before putting the tea bags in to steep? Sure. You could boil the tea bags in 3 cups of water and 3 cups of white grape juice. I think it is time I revamp the recipe. I would definitely boil the water with the juice. 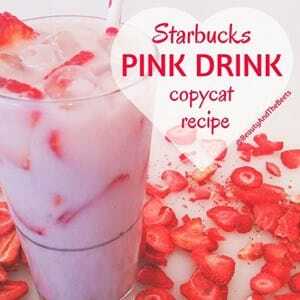 That is exactly how I made the base for the strawberry refresher. I thought refreshers had green coffee bean extract? Is there a way to purchase and still incorporate this into the recipe? Hi Colleen! 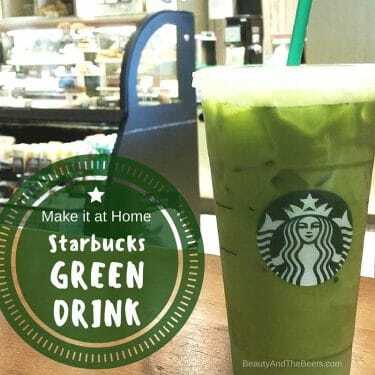 You can find green coffee bean extract at almost any health food store. 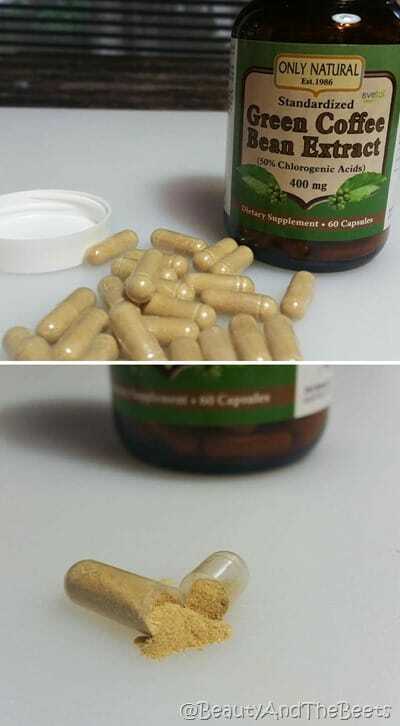 I have only been able to find it capsule form but I just break open the capsules and use the powder. I add about 4 tablespoons per batch, or teaspoon in a big glass! This sound like a great recipe! I am obsessed with refreshing drink during the humid summers. 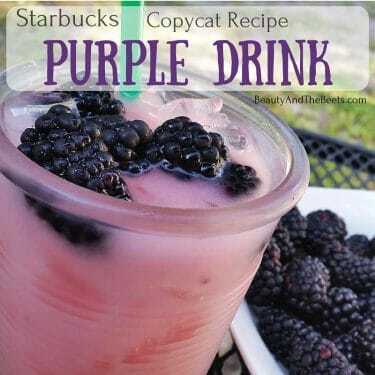 I make my own version of this but I use the tazo brand hicibus passion tea. I belive it is the brand that Starbucks actually uses. 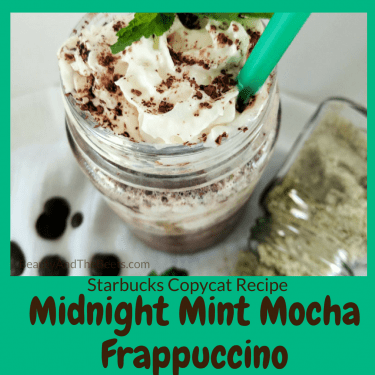 It’s very inexpensive and tastes amazing! It also has that little bit “extra” that most homemade recipies seem to be lacking. How do you make it with the Tazo tea? Could you post the recipe you use? 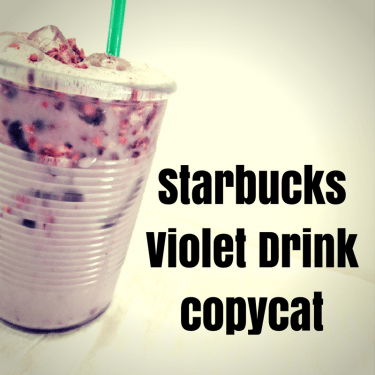 I love this drink and I am so grateful for your post. I can’t wait to try to make this on my own. Thank you for sharing this. There is no tea in the Starbucks one. Will look for a different recipe. It’s expensive to buy the hibiscus tea in the bags. I go to my local Latino store and purchase dried hibiscus petals in the loose bag for about $2.50 for 3-4 cups of the petals. The name you want to look for is called, jamaica (ha-mei-ca). 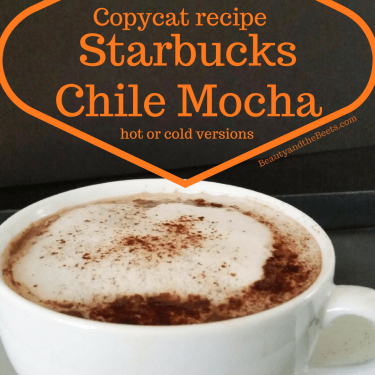 You didn’t add the green coffee capsules into the recipe?… I’m confused! It’s optional but I added it into the recipe now! Thank you for pointing that out!